I received a surprise Facebook Message a few days ago. It was from a man who will remain nameless for now (not that he is in hiding, but I don't have permission to share his name at the moment) who confirmed for me that Tacoma Fire does in fact still own one of the original eight 1970 American LaFrance pumpers from Engine 17's batch. This revelation is cause enough for me to come back here to the blog after nearly two years for this update. About a year and a half ago we had to move from our place in the country, as the Fire District decided to close the resident satellite station we had been living in while working for them since 2008. It was a good long run that benefited us as well as the District, but leadership changed and the new electeds decided to go in a different direction. Subsequent to them closing the station down, I retired from my 22 year fire career. Still work full time at the power company, and am now the Director for a home school community in Vancouver. The country abode was an ideal place to store E17 under cover, but that option went away. Money is tight for us, and presently I am sad to say that E17 is stored outside in the weather. Plans are afoot to move her back to Tacoma where a family member might be able to store her inside, but we're not sure when that might come to pass. I have to admit, I've been sad to not be able to make any meaningful progress on her, and have entertained the thought of putting her up for sale or even giving her away if the right buyer faithful to her heritage came forward. Not presently actively looking to rehome her, but if you are that right person or know who is, drop me a line. 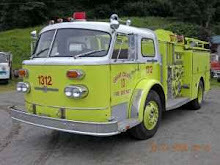 In the meantime, I am hoping to get a chance to see Tacoma's last 1970 ALF pumper and maybe get some pictures. Finding out one still exists and has not been extensively modified or abused by secondary owners is a godsend, this means that when there are questions about original equipment, this last rig will be a very reliable model to consult most of the time! Word is, a bunch of guys are getting an effort together to start restoration on the last rig, so even though we aren't in a position to work on E17 meaningfully right now, we hopefully will be able to soon start reporting on the progress of this other restoration. Stay tuned!